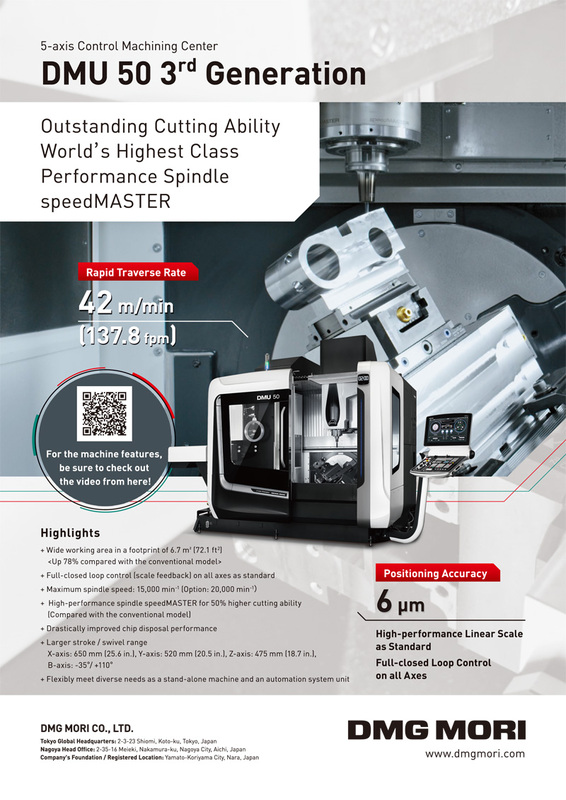 To realize highly productivity and machine fine surfaces, today’s multi-axis-controlled machine tools require a method of planning to maintain dynamic synchronous accuracy among the tool axes and reduce swinging of the translational axes. To these ends, this paper proposes a new planning method for tool posture based on an integrated main / post processing system. The proposed method is designed to plan tool posture change for continuous 5-axis-controlled machining for a finishing process using a ball end mill. In the planned tool posture, the cutting tool can avoid collision with the workpiece surface and keep travel to a minimum on the translational axes. In the proposed method, first, a large number of candidate tool posture changes are assumed. Then, collision between the cutting tool and workpiece, overtravel and total travel distance of the translational axes are estimated for each candidate. In order to drastically reduce computation time for these estimation processes, we introduce the M-Map method and develop a partial CAVE method. In the M-Map method, machinable range of the rotational axes on the machine tool without collision and estimated position of the translational axes in the post process are illustrated as color images for each cutter location. Then, by referring to these images, in the partial CAVEmethod, a vast number of candidates tool posture changes are compared to detect the optimal changes with the minimum total travel. These estimation processes are realized on graphics hardware known as a GPU. By applying its ultra parallel processing ability, the system we have developed can detect the optimal tool posture changes in a short time. J. Kaneko and K. Horio, “Tool Posture Planning Method for Continuous 5-Axis Control Machining on Machine Tool Coordinate System to Optimize Motion of Translational Axes,” Int. J. Automation Technol., Vol.5, No.5, pp. 729-737, 2011. Y. Takeuchi and T. Watanabe, “Study on Post-processor for 5-Axis Control Machining Centers,” J. of the Japan Society for Precision Engineering, Vol.58, No.9, pp. 1586-1592, 1992 (in Japanese). K.Morishige, K. Kase, and Y. Takeuchi, “Tool Path Generation Using C-Space for 5-Axis Control Machining,” J. of the Japan Society for Precision Engineering, Vol.62, No.12, pp. 1783-1787, 1996 (in Japanese). J. Kaneko and K. Horio, “Fast Evaluation Method of Tool Posture for 5-Axis Control Machining Using New Functions of Graphics Hardware,” Proc. of the Int. Conf. on Leading Edge Manufacturing in 21st Century, pp. 105-108, 2005. R. Sato, Y. Yokobori, and M. Tsutumi, “Dynamic Synchronous Accuracy of Translational Axes and Rotational Axes in 5-axis Machining Center,” J. of the Japan Society for Precision Engineering, Vol.72, No.1, pp. 73-78, 2006 (in Japanese).